THURSDAY, Aug. 21, 2014 (HealthDay News) -- Among seniors, dimming vision may be tied to poorer survival, new research suggests. The study involved more than 2,500 people, aged 65 to 84, who were assessed when they enrolled in the study and again two, six and eight years later. Vision loss over time was associated with an increase in the person's risk of death during the study period, the researchers reported. Although the study couldn't prove cause and effect, researchers led by Sharon Christ of Purdue University in West Lafayette, Ind., offered up some theories on the link between fading sight and shorter survival. They believe the effect may be partly due to a sight-related decline in an individual's ability to perform basic daily tasks such as shopping, housework or using the telephone. The risk of death among people who had difficulty with basic daily tasks rose by 3 percent a year over the study period, so that it was 31 percent higher by the end of the eight-year study. People who had a vision decline of one letter size on an eye chart were expected to have a 16 percent increase in death risk during the study due to their declining ability to do basic daily tasks, the researchers said. "Our findings have multiple implications. First, these findings reinforce the need for the primary prevention of visual impairment," the Purdue team concluded. "Moreover, the early detection of disabling eye diseases is suboptimal in the U.S. health care system, leading to otherwise preventable vision impairment". "Finally, many Americans live with vision impairment that is correctable through the proper fitting of glasses or contact lenses," the researchers added. The Purdue group also believes that the study reinforces the notion that if a senior is burdened by impaired sight, helping them complete everyday tasks may be important to maintaining long life. 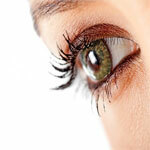 The study was published online Aug. 21 in the journal JAMA Ophthalmology.